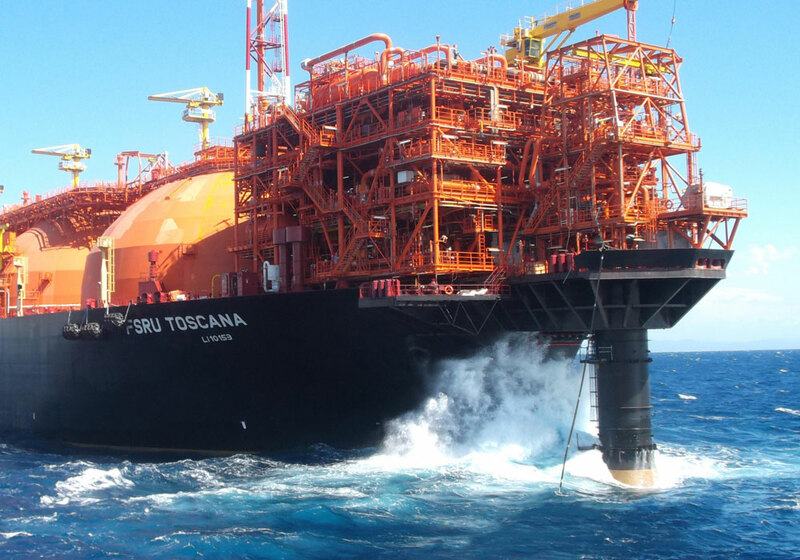 The FSRU TOSCANA was successfully installed in August 2013. The vessel started its journey at Dubai Drydocks World, transiting to the coast of Livorno, Italy in June. LMC developed the column turret design for Saipem and OLT, to enable the LNG receiving terminal of the FSRU to be permanently moored approximately 12 miles offshore Livorno. The FSRU has a regasification unit which converts the incoming LNG (brought alongside by carrier) to gas, which is in turn sent out through the turret and swivel system through risers to the shore.